VANCOUVER -- Canadian doctors want the federal government to make sure health care professionals have the resources they need to care for the country's aging population, says the president of the Canadian Medical Association. Dr. Cindy Forbes said the group has been working hard on creating a strategy to care for aging seniors, and wants to make sure funding for care is covered in a future health accord, which would set out how federal health care money is distributed to provinces. The association has developed several recommendations it would like to see in a new agreement, including more funding for provinces with larger populations of seniors, coverage of prescription drugs, and funding for long-term care, home care and for caregivers, Forbes said. Doctors are already seeing the effects of an aging population and those issues will only continue to grow over the coming decades, she added. "I'm a family physician from Nova Scotia and I see those problems arising in my practice - long waiting times to see specialists, long waiting times to be admited to long-term care, patients staying in hospital longer because they don't have home care," Forbes said. "We definitely know it's going to cost more to look after them in the way they need to be looked after." Doctors aren't the only ones calling for seniors to be a predominant focus in the new deal. Provincial politicians, too, have said they need more money to care for the medical needs of their aging populations. Premier Dwight Ball of Newfoundland and Labrador has said his province faces a spike in medical costs as the population ages, and New Brunswick Health Minister Victor Boudreau has said populations in Atlantic Canada are aging faster than other regions, which adds to health-care costs. Canada's last health accord expired in 2014 and, after refusing to renegotiate it, the previous Conservative government declared that the annual six per cent increase in social program funding to the provinces would end in 2017. The Liberals promised in their election platform to restart negotiations, but the details have yet to be determined. The CMA is "optimistic" about a new health accord, but it's important to have debate in order to make sure funding is adequate, Forbes said. "This is a real opportunity," she said. 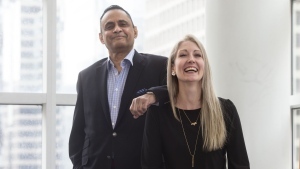 "We really want to make sure that when it is negotiated, it will make a difference in our patients lives, that it will really impact the patients of Canada, the people that we serve." 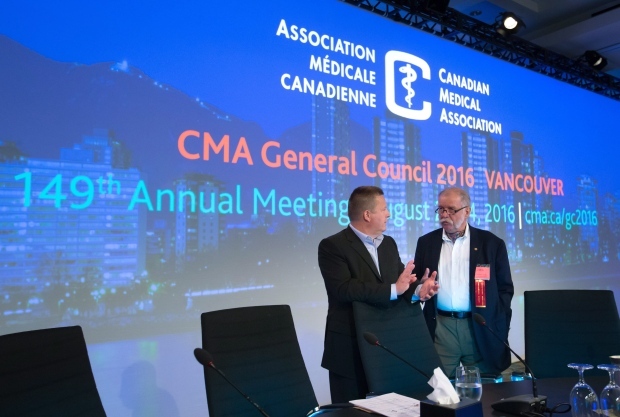 Asked what they would like to see in a new agreement between the federal and provincial governments, doctors at the CMA's annual meeting in Vancouver Sunday said they wanted a focus on universal access to drugs, preventative medicine and emphasis on the quality of senior's care. Dr. Avery Granger, the CMA's incoming president, told the crowd that negotiations for a new accord represent a chance to set a new vision of health care for all Canadians. "(CMA) is in a real position to get these discussions off the ground," he said. "If we don't use this opportunity to engage various levels of government to achieve overall system change, then we'll have missed a very important opportunity."